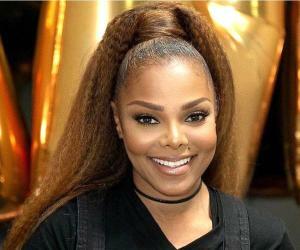 Janet Jackson Biography - Facts, Childhood, Family Life & Achievements of Singer. Janet Jackson is an American entertainer best known as the Queen of Pop and R&B. Check out this biography to know about her childhood, family life, achievements and other facts about her life. Born in: Gary, Indiana, U.S. Call her the Princess of Pop or the Queen of R&B, Janet Jackson is an international icon who in her four decades long career has created a stir in the music industry globally with her series of musically innovative, socially conscious, and sexually provocative records. One of the most awarded artists in the world, her career longevity, super duper hit records and overwhelming trail of achievements reflect her influence in shaping and redefining the scope of popular music. Though she started as a pop icon, Jackson soon infused elements of rhythm and blues, funk, disco, rap, and industrial beats, which gave her crossover success in popular music. In her more than four decades of illustrious music career that has spanned over eleven studio albums and seven world tours, Jackson has sold more than 100 million records with four of her albums being included in Rolling Stone's ‘500 Greatest Albums’ and the Rock and Roll Hall of Fame's ‘Definitive 200’ list. She has almost become a fixture on MTV and a major role model for music aficionados and enthusiasts across the country. Other than music, Jackson has gained limelight for her artistic endeavours in films as well. Her massive success internationally has made her one of the greatest ever musicians and entertainers in the contemporary era. Her impact and influence have inspired millions. Janet Jackson was born as Janet Damita Jo Jackson on May 16, 1966, in Gary, Indiana. She was the youngest of the ten children born to Katherine Esther and Joseph Walter Jackson. With the entire family into the entertainment business, it was only natural for Janet Jackson to follow suit. She recorded herself in the studio and by the age of seven, had performed at the Las Vegas Strip at MGM Casino. In 1976, Jackson began acting in the variety show ‘The Jacksons’. The following year, she bagged a main role as Penny Gordon Woods in the sitcom ‘Good Times’. This was followed by a role in ‘A New Kind of Family’ and a recurring role in ‘Different Strokes’. At the age of 16, Jackson bagged a contract with A&M Records. Under the label, she released her debut album ‘Janet Jackson’ in 1982. 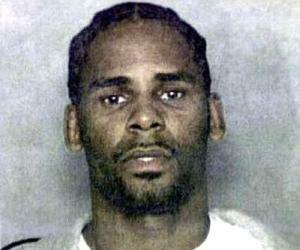 The album peaked at number 63 on the Billboard 200, and number six on the publication’s R&B albums chart. In 1984, Jackson released her second album ‘Dream Street’. The album was moderately successful, peaking at 147 on the Billboard 200, and number 19 on the R&B albums chart. Its lead single ‘Don’t Stand a Chance’ peaked at number nine on Billboard’s R&B singles chart. Continuous tiffs with her father led Jackson to come out from under his shell. She then teamed with Jimmy Jam and Terry Lewis to come up with her third album ‘Control’ in 1986 which became a major hit. The album peaked at number one on the Billboard 200 and was certified five times platinum by the RIAA, selling over ten million copies worldwide. ‘Control’ gave Jackson her first breakthrough success. It not just spawned top five singles but also gave her, her first number one hit on the Hot 100. The album went on to receive six Billboard Awards, including Top Pop Singles Artist and three Grammy nominations. 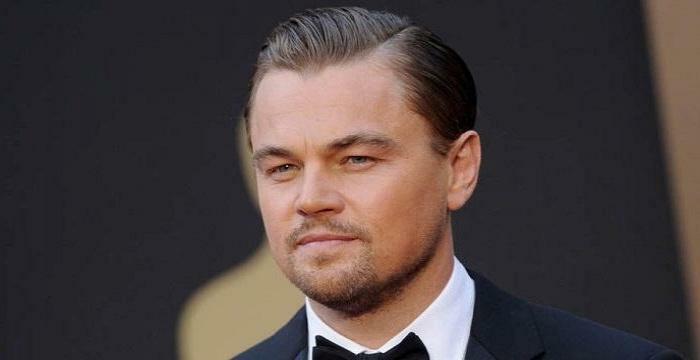 It also won four American Music Awards from twelve nominations, the highest ever till date. ‘Control’ gained crossover pop appeal, giving Jackson her own identity, away from her clan. Following the stupendous success of ‘Control’, Jackson was bounded by the pressure to come up with its sequel. However, she refrained from bowing down to the pressure and instead came up with her fourth album ‘Rhythm Nation 1814’ that dealt with a socially conscious theme. Peaking at number one on the Billboard 200, the album was certified six times platinum by the RIAA and sold over twenty million copies internationally. Revolving around the theme of unity against crimes and tragedies, ‘Rhythm Nation 1814’ became the magnum opus of her career. It garnered positive response both critically and commercially. Furthermore, it became the only album to produce number one hits in three separate calendar years and also the only album to achieve seven top five singles on the Hot 100. ‘Rhythm Nation 1814’ became the highest selling album of 1990, winning a record fifteen Billboard Awards. In 1990, Jackson went on a Rhythm Nation World Tour. It became the most successful debut tour in history, setting a record for the fastest sell-out of Japan's Tokyo Dome. She used the proceeds of the tour to fund various educational programs. In May 1993, Jackson came up with her fifth studio album ‘janet.’ read as ‘Janet, Period’. The album opened at number one on the Billboard 200. It was certified sixfold platinum by RIAA, selling more than 14 million copies worldwide. Its lead single ‘That’s the Way Love Goes’ topped the Billboard Hot 100 for eight consecutive weeks. While her music career was escalating exponentially, Jackson made her tryst in films. With ‘Poetic Justice’ she made her film debut in July 1993. Though the film was panned critically, her performance was appreciated and praised by the critics. In 1995, she collaborated with her brother Michael Jackson for the song, ‘Scream’, which was the lead single from his album HIStory. It debuted at number five on the Hot 100 singles chart, becoming the first song ever to debut within the top five. The same year, she came up with her first compilation album ‘Design of a Decade’. Its single ‘Runaway’ became the first song by a female artist to debut at top ten of the Hot 100. The album was certified double platinum and sold more than ten million copies worldwide. In 1996, Jackson renewed her contract with Virgin Records for a whooping $80 million, making her yet again the highest paid recording artist in history. While her professional graph was escalating, she suffered from depression and anxiety personally. Her sixth studio album reflected all of that as it chronicled her emotion and anxiety. Titled ‘The Velvet Rope’, it debuted at number one on the Billboard 200 and was certified triple platinum, selling over ten million worldwide. ‘The Velvet Rope’s lead single ‘Together Again’ became Jackson’s eighth number-one hit on the Billboard Hot 100 chart, spending a record forty-six weeks on the Hot 100 and nineteen weeks on the United Kingdom's singles chart. It sold six million copies worldwide, becoming one of the best-selling singles of all time. The album established Jackson’s reputation as a gay icon for its theme of homosexuality. Janet Jackson followed the superlative success of ‘The Velvet Rope’ album with an equivalently successful The Velvet Rope World Tour, touring all over the world. Next she was seen making her second appearance on the big screen for the film ‘Nutty Professor II: The Klumps’. The movie was a major hit and opened at number one spot, eventually amassing $170 million internationally. Her single for the movie, ‘Doesn’t Really Matter’ became her ninth number one single on Hot 100. In 2001, Jackson came up with her seventh studio album ‘All For You’. Imitating the success of its predecessors, the album opened at number one on the Billboard 200. It bagged the highest first-week sales of her career and the highest by a female artist in history. It was certified double platinum by the RIAA and sold nine million copies worldwide. Almost following the ritual, Jackson followed the hit album with a super hit tour of America and Japan. At the Super Bowl XXXVIII halftime show held in February 2004, Jackson performed a medley of her super hit albums. Her surprise duet with Justin Timberlake however led to a wardrobe malfunction that listed her in Guinness World Records as the ‘Most Searched in Internet History’ and the ‘Most Searched for News Item’. The duo received a lot of flak from the critics and was blacklisted from radio and music channels. Following the controversial episode at Super Bowl, Jackson came up with her eighth studio album ‘Damita Jo’ in March 2004. Though the album debuted at number two on the Billboard 200 and was certified platinum by the RIAA, it couldn’t replicate the success of her previous albums despite having the potential to do so, thanks to the Super Bowl fiasco! In 2006, Jackson released her ninth studio album ’20 Y.O.’ Despite having some awe-striking numbers, it failed to rise above the Super Bowl backlash and was in fact overshadowed by it. Due to being blacklisted by music channels and radio airplay, the album was affected profoundly. Braving all odds, ‘20 Y.O.’ managed a platinum certification by RIAA and also receiving a Grammy nomination for Best Contemporary R&B Album. 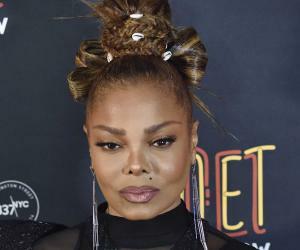 Just when her career in music was dipping slightly, Jackson bounced back to limelight with her acting project, this time for her film ‘Why Did I Get Married?’ It became her third film in a row to open at number one spot at the box office, grossing $60 million. In 2008, Jackson signed a record deal with Island Records. The same year, she released her tenth studio album ‘Discipline’ that opened at number one place. Its lead single peaked at number 19 on the Hot 100 charts. In 2009, she released a second hits compilation ‘Number Ones.’ Its single, ‘Make Me’ became Jackson's nineteenth number one on the Hot Dance Club Songs chart, making her the first artist to have number-one singles in four separate decades. The success of her film ‘Why Did I Get Married?’ led to the making of its sequel, ‘Why Did I Get Married Too?’ in which she reprised her role. Next she was seen in the drama, ‘For Colored Girls’. At around the same time, she embarked on her largest world tour, ‘Number Ones: Up Close & Personal’ covering 35 global cities. In 2015, Jackson initiated her record label, Rhythm Nation, thus becoming one of the first African-American female musicians to own a record label. Under it, she released a lead single ‘No Sleeep’ which bagged the number one spot at Billboard and Twitter. Jackson released her eleventh studio album ‘Unbreakable’ in October 2015. The album opened to positive reviews from the music critics and media channels. It debuted at number one on the Billboard 200, becoming her seventh album to top the chart in the United States. Other than being a musician, Jackson has also served as an entrepreneur and endorser. She became the first celebrity in the brand’s history to endorse the fashion line Blackglama for two years. She even launched her own jewellery line. Also, she authored a self help book ‘True You’ which chronicled her life and struggles. The book topped The New York Times' Best Seller list. The breakthrough in Janet Jackson’s career came with her second album ‘Control,’ and after that, she never looked back! Belting out blockbuster singles and albums one after the other, including ‘Rhythm Nation 1814’, ‘Janet’, ‘The Velvet Rope’ and so on, Jackson by the end of the 1990s decade, was ranked by Billboard as the second most successful artist of the decade. Furthermore, she became the only female artist in the history of the Hot 100 to have 18 consecutive top ten hit singles, from ‘Miss You Much’ (1989) to ‘I Get Lonely’ (1998). Jackson’s popularity escalated exponentially in the 21st century, as all of her albums and singles did exceptionally well at the charts. She became one of the top ten best selling artists in the history of contemporary music. She has been credited for redefining the landscape of pop music and is counted at par with Madonna, Aerosmith, Garth Brooks and Eric Clapton. Janet Jackson is ranked as the third most awarded artist in history. Of the 435 nominations that she has been listed under in her more than four decades of career, she has bagged 214 awards and the numbers are bound to increase in the coming years. Some of the prestigious awards attained by Jackson include twelve American Music Awards, five Grammy Awards, nine MTV Video Music Awards, thirteen Soul Train Music Awards and ten Billboard Music Awards. Of these, the most notable ones include American Music Award's ‘Award of Merit’, Billboard Award's ‘Artistic Achievement Award’, MTV's ‘Video Vanguard Award’, Soul Train’s ‘Lifetime Achievement Award’ and Recording Academy's ‘Governor's Award’. Internationally, she earned the TMF Awards' ‘Lifetime Achievement Award’, MTV Japan's ‘Inspiration Award’, and World Music Awards’‘Legend Award’. Her humanitarian efforts have garnered APLA's ‘Commitment to Life Award’, amfAR's ‘Award of Courage’ and GLAAD's ‘Vanguard Award’. She was even honored with a Humanitarian Award for her involvement in raising money for AIDS charities. She has also received a star on the Hollywood Walk of Fame in recognition of her impact on the recording industry and philanthropic endeavours. Janet Jackson married singer, James DeBarge, in 1984 but the marriage was annulled shortly after. She then married Rene Elizondo Jr. The marriage was a hush-hush affair as the duo kept their marital status hidden from not just the international press but also her father. The marriage, however, hit the rocks leading Elizondo to file a multimillion-dollar lawsuit against her. Later, in February 2013, Jackson announced she had married Qatari businessman, Wissam Al Mana, in a private ceremony in 2012. The couple welcomed their first child, a son, on January 3, 2017. 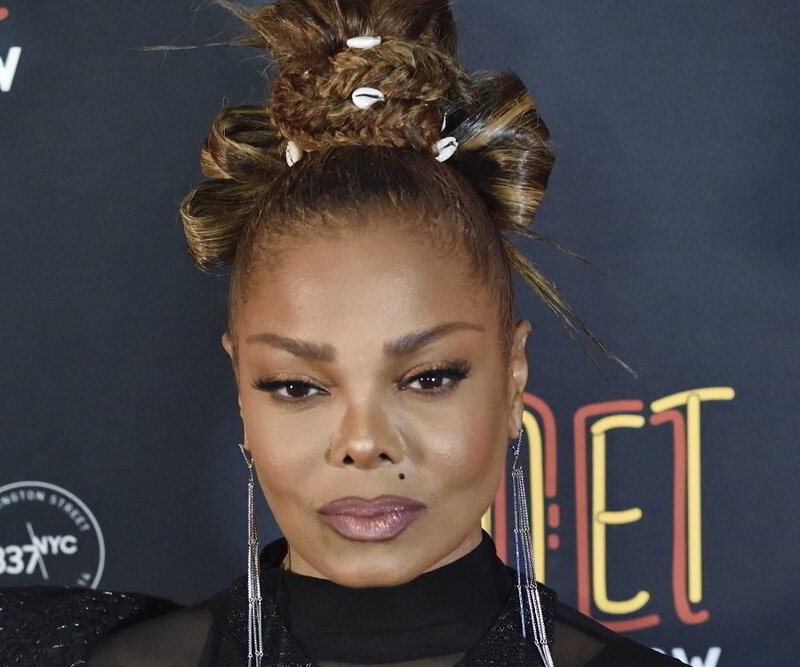 Janet Jackson has an estimated net worth of $175 million.